Its name does not inspire joy, this sea that is actually a huge salt lake of more than 800km2, is the delight of thousands of tourists. What attracts so many people to this dream destination? Is it the paradisiacal setting? Is it the luxurious hotels that grow along its shores, nestled in the heart of lush vegetation? Is it the kilometers of golden sandy beaches? It is all this at once, and more. A trip to the Dead Sea to the west of Jordan is to take the time to enjoy la dolce vita, admire the evening by enjoying a fresh juice, the magnificent sunset. It is to be pampered in a mud bath in bright sunshine, and it is also the meeting place of the international jet set. One can meet Europeans, Americans, Australians… coming to enjoy leisure but also the benefits provided by the waters of the Dead Sea. And that is the occasion to go from one surprise to another. The Dead Sea is undoubtedly the leading addresses of Spas that offer advanced beauty-treatment, care against acne, cellulite, stress … and multiple massages with the «ingredients» of its waters. 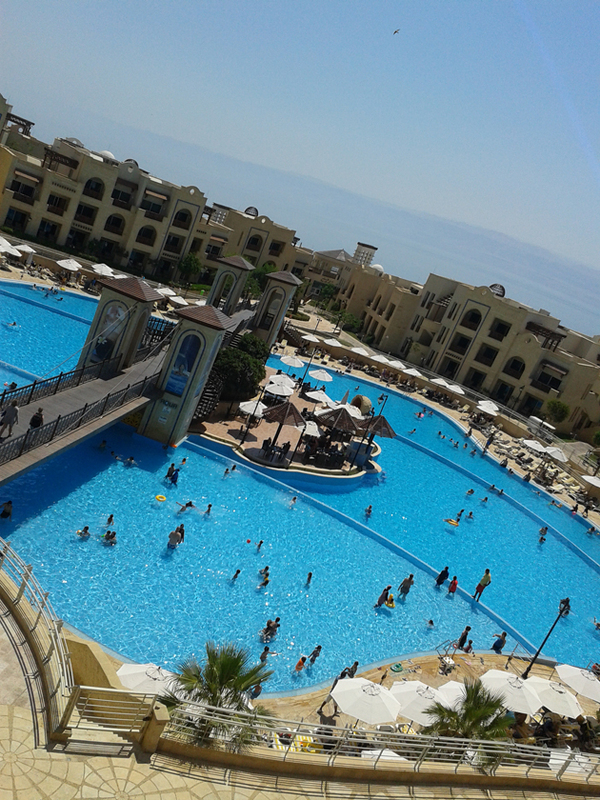 All hotels of the Dead Sea appear full from May, beginning of the season of beaches stretching to November. There are a variety of restaurants offering all kinds of cuisines, nightclubs that close at the first light of dawn, tennis courts for the champions that you come across around a table sipping a fresh cocktail, parks for children that come to play during their vacation. The decline in rainfall has led, following a high evaporation, a regression of the lake and a continuous increase in its salinity. Also evaporation of large volumes of water, 300 million cubic meters of water per year, due to salt production plants, it is the cause of the progressive drying of the Dead Sea, whose level drops 70cm per year since the Jordan River is diverted for navigation. This sea has lost the last fifty years the third of its area, which continues to decline with time and may create economic, ecological and geo-strategic problems in the region. Luckily the Jordanian authorities, with the assistance of many countries are making studies on rehabilitation projects, suspended several times, to save this «healer» sea, mythical destination and absolute delight for vacationers. The Dead Sea has not yet revealed all its attractions. While the ancient Egyptians used mud from the Dead Sea to mummify their dead people, Cleopatra, meanwhile, keen on beauty and seduced by its care properties, ordered to build cosmetic manufactures along its coastline. Freshly picked in the water on the edges of the shore at a depth of about a foot, mud is poured in buckets placed directly on the shore at the reach of vacationers. These men and women of all ages are queuing in front of this black and shiny material, eager to discover its «magical» power. Buckets are renewed regularly as they are emptied. And they are empty at high speed. How to make a mud bath? First soak in seawater, then «brush» the whole body with mud, avoiding the eye area. Keep the mud while staying under the sun until it dries. Eight to ten minutes, depending on the thickness of the mud layer. And there begins the scrub with fingers. We will probably need someone to spread the product then scratch the back. A good shower of clear water will then remove the excess of mud. The skin comes in satin, soft, enriched with minerals, it needs no cream or lotion. A great experience of natural beauty. The Dead Sea is generous. It also offers natural treatments like light therapy, medical treatment by sunlight, thalasso therapy, treatment with seawater hydrotherapy, therapy with baths or shower. The mud of the Dead Sea has conquered the world. It is marketed in its natural way in plastic bags; it also constitutes the components of soaps sold in many countries. 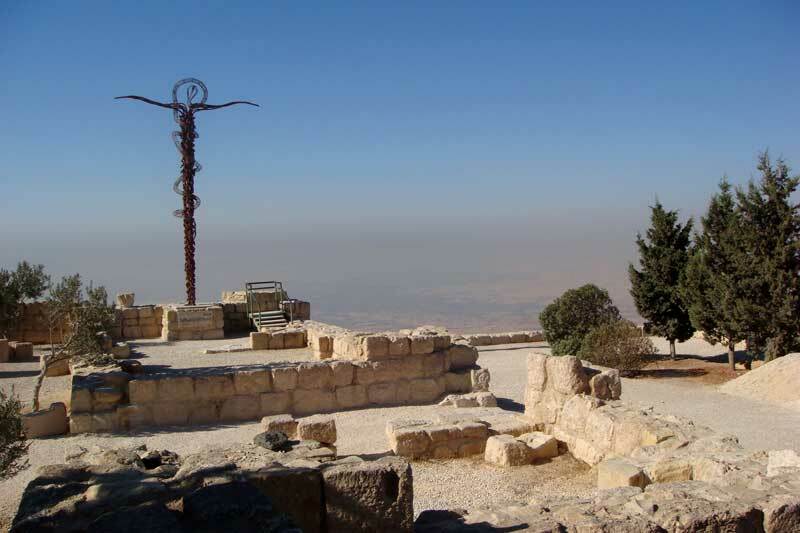 A must destination for tourists of the Dead Sea, Mount Nebo remains a holy place frequently visited in Jordan. It is from the top of this hill at 817m above sea level, overlooking the Dead Sea, that Moses saw the Promised Land, Jericho and the hills of Jerusalem. And this is where he spent his last days and where would rest his relics. 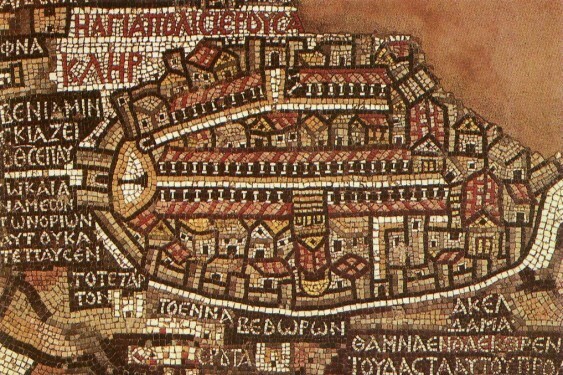 In 530, a baptismal chapel was built on the mausoleum of Moses. Let’s recall that during his visit to the holy places in 2000, Pope John Paul II visited Mount Nebo and in 2009, Pope Benedict XVI made the same pilgrimage. Aristotle has often spoken of the Dead Sea in his writings. Mentioned in the Bible, enjoyable and interesting stop on the Roman road, Madaba is the largest Christian town of Jordan, located a few kilometers east of the Dead Sea. Known for its Byzantine and Umayyad mosaics, the city is populated by churches including that of the Virgin dating from the VIth century, the magnificent St. Elijah church with its crypt, the church of Sts-Martyrs, St-Etienne and St Serge churches that reveal to the visitor extraordinary mosaics. 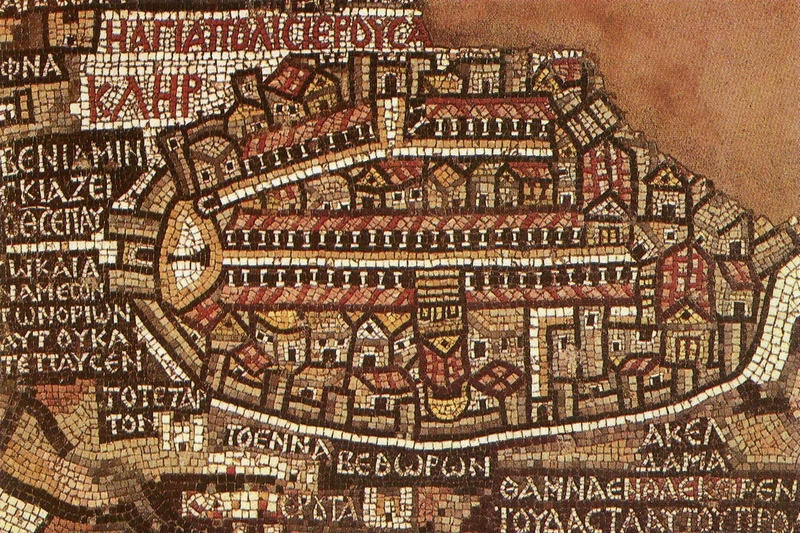 Madaba jealously preserves its ancient treasures to the delight of tourists, especially for archaeologists who reveal over time the splendor of the mosaics of historical, outstanding Madaba with its archaeological park. A real outdoor museum. An ancient civilization yet so present. Save the Jordan, the sacred river! Could it be one day dry? This 645km long river rises in Mount Hermon or Jabal el Sheikh, crosses the Sea of ​​Galilee to come flowing into the Dead Sea. It was in its waters that John the Baptist immersed and Christ was baptized. However, the waters of the Jordan are diverted now by Syria, Palestine and Jordan, either to supply in drinking water or for agriculture. 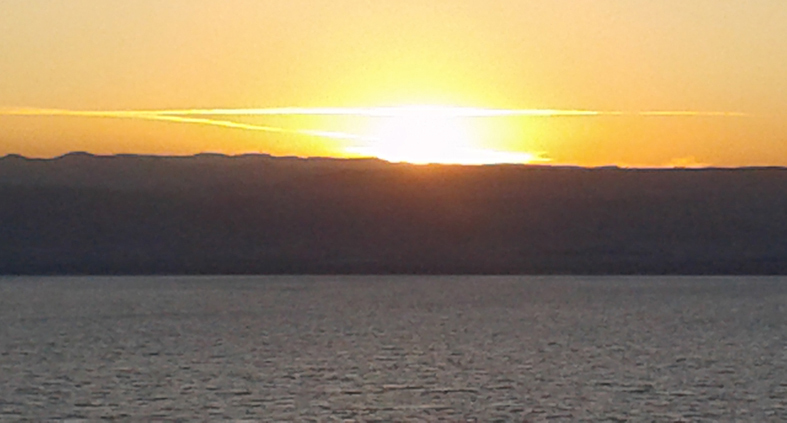 This is the major reason for the dramatic decline in the level of the Dead Sea. The visitor remains speechless before this «river» polluted that he has discovered during his pilgrimage to the site, which saw the birth of Christianity. It is urgent that the authorities of the countries crossed by the Jordan finally find a radical solution to this problem before seeing the river dying, carrying with it the drying in small doses of the Dead Sea. Meanwhile, pamper yourself in a trendy spa, let yourself be tickled by the softness of a sea breeze, then give in to the emotion before the breathtaking spectacle of a sunset, casting its last rays on the sleeping waters of a sea that only wishes you well, so that your stay is fun and recreation.